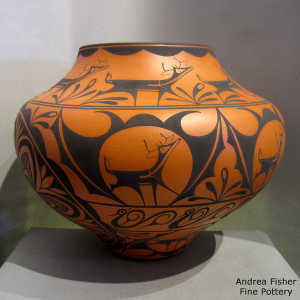 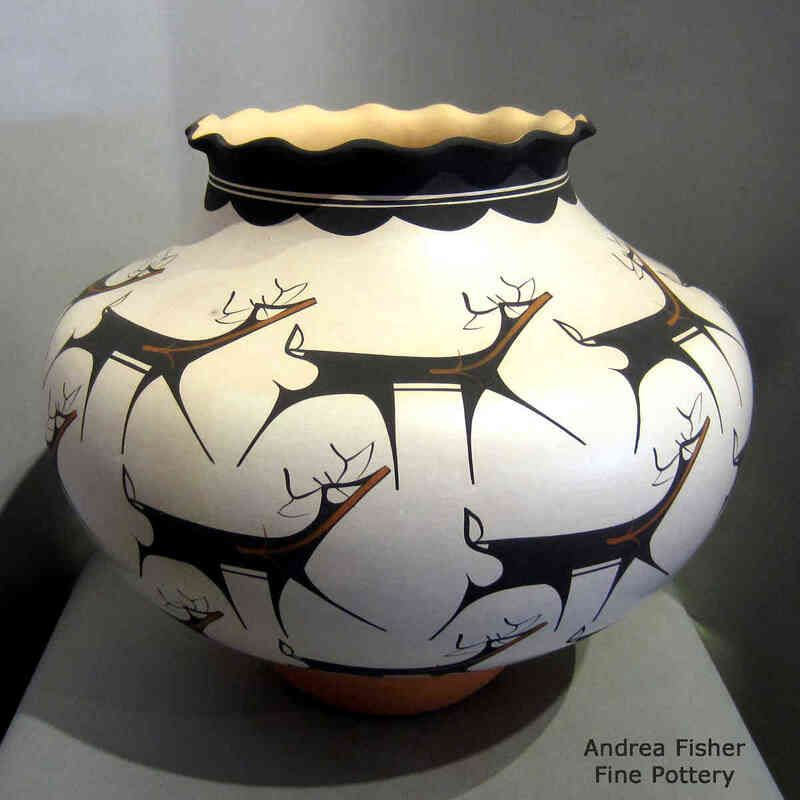 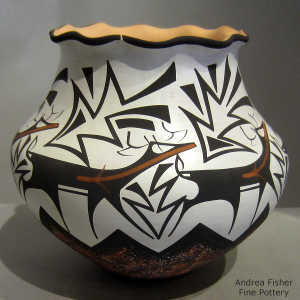 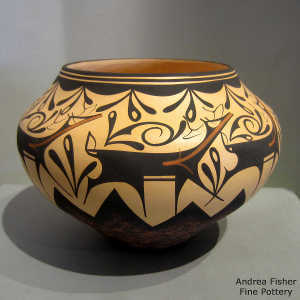 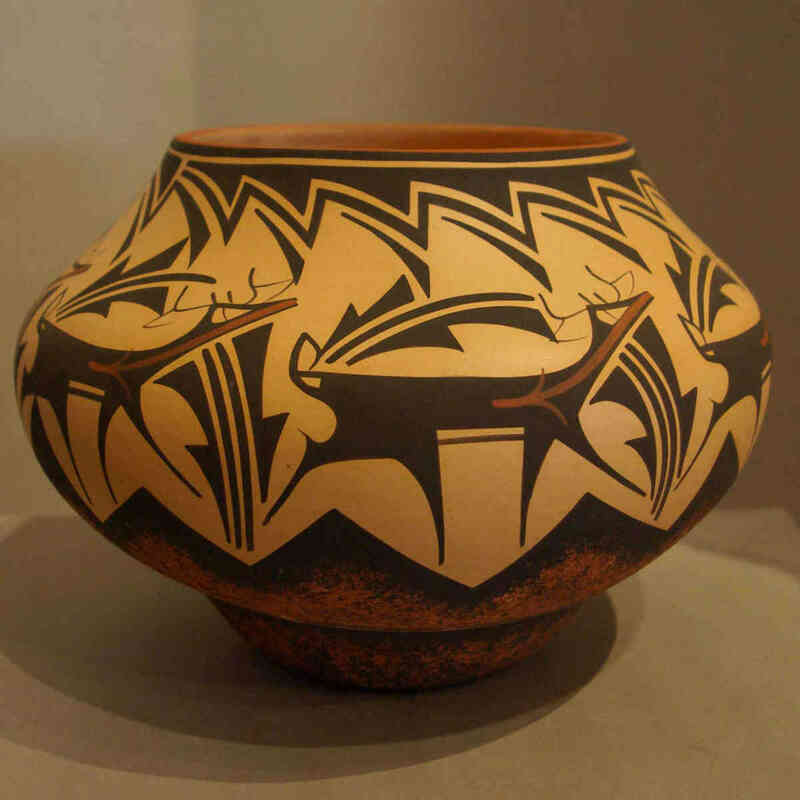 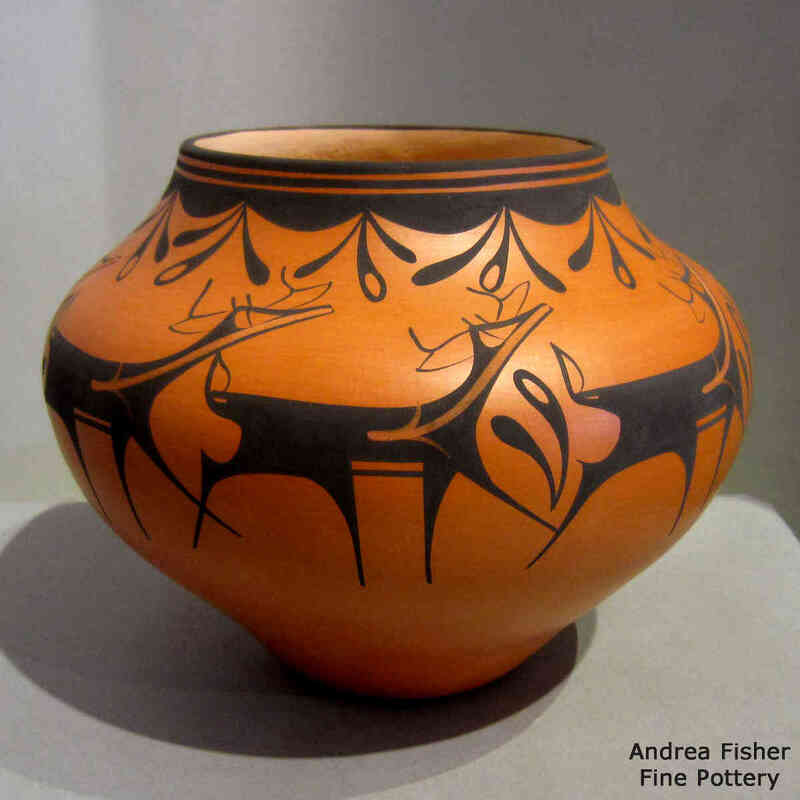 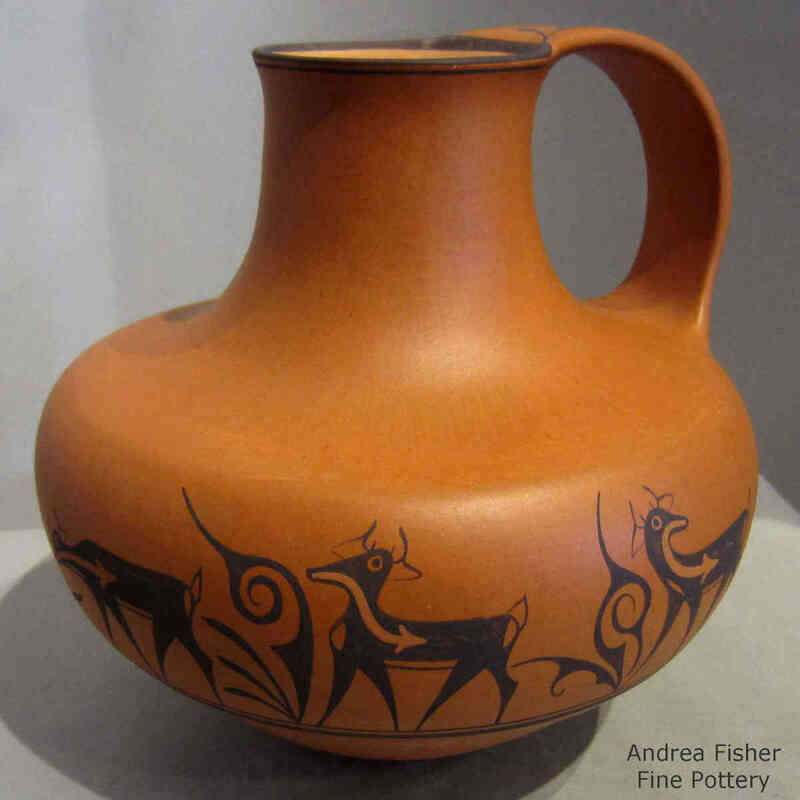 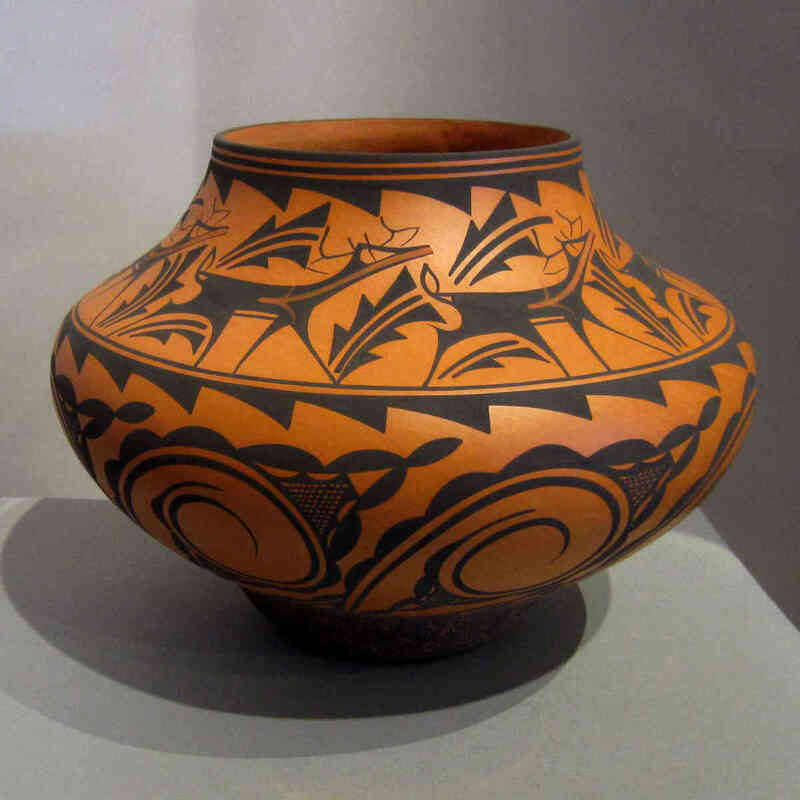 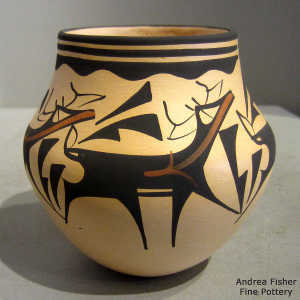 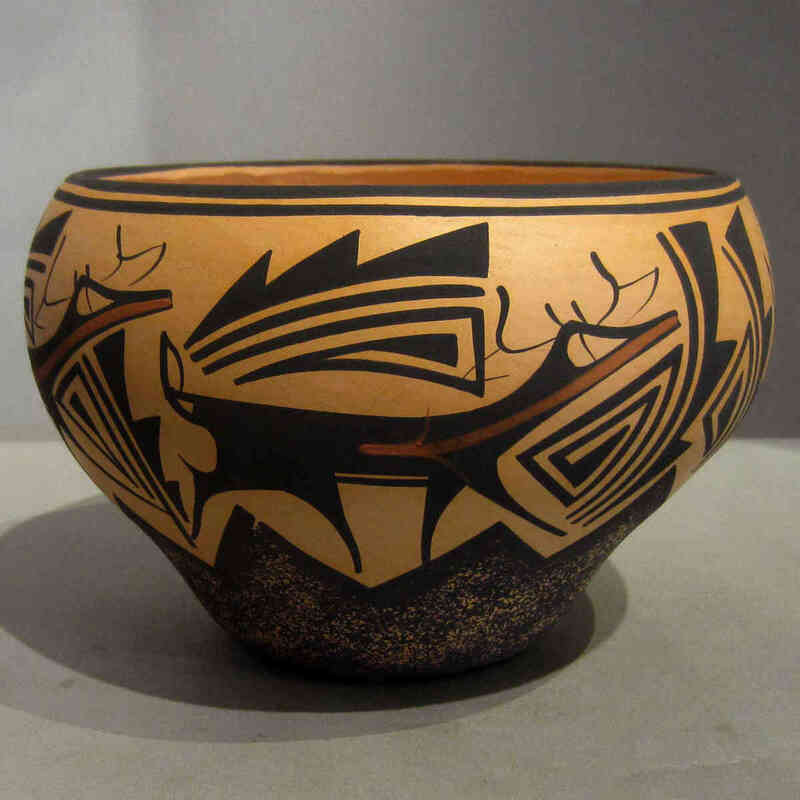 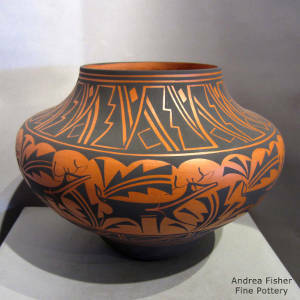 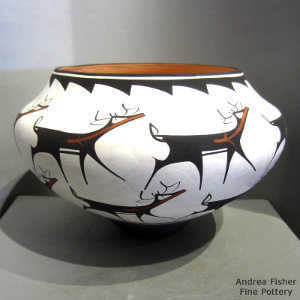 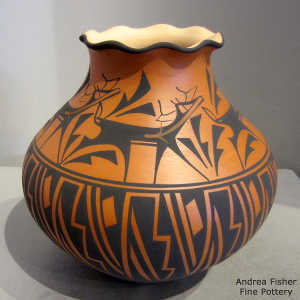 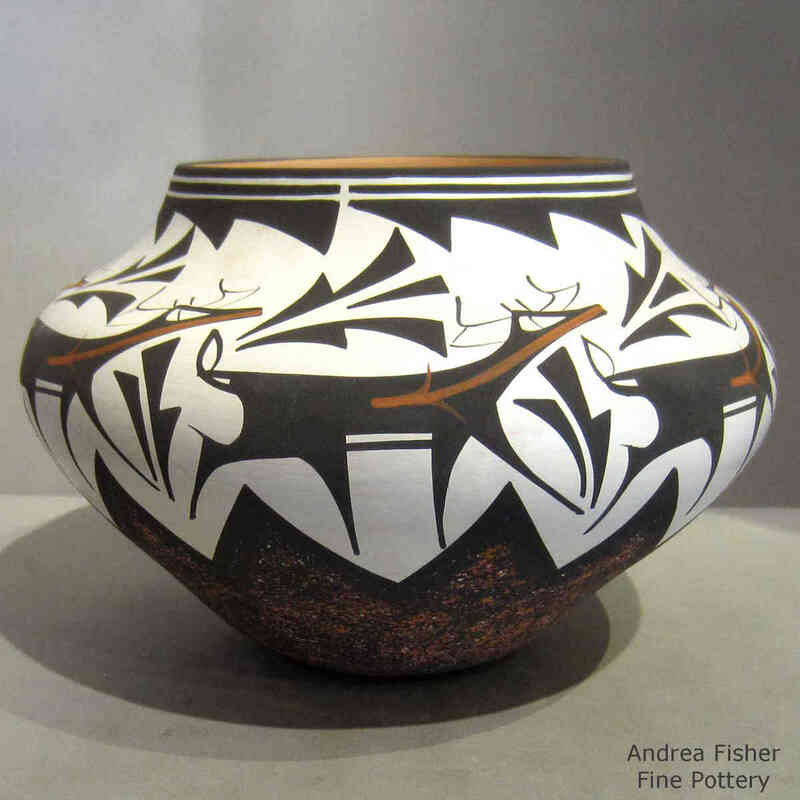 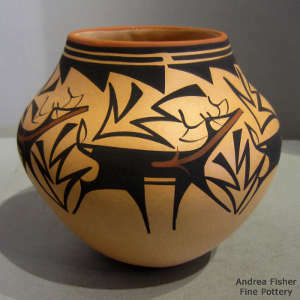 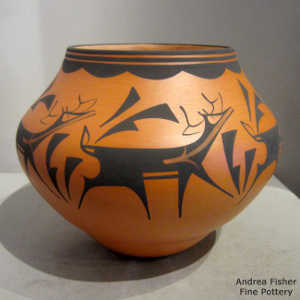 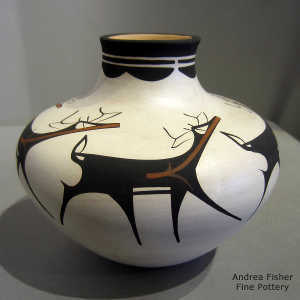 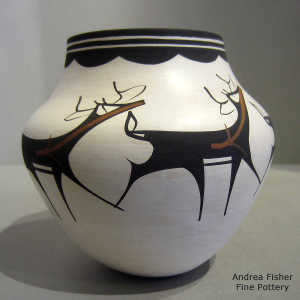 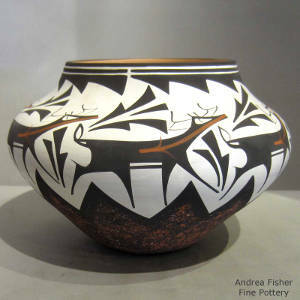 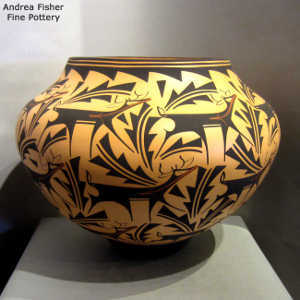 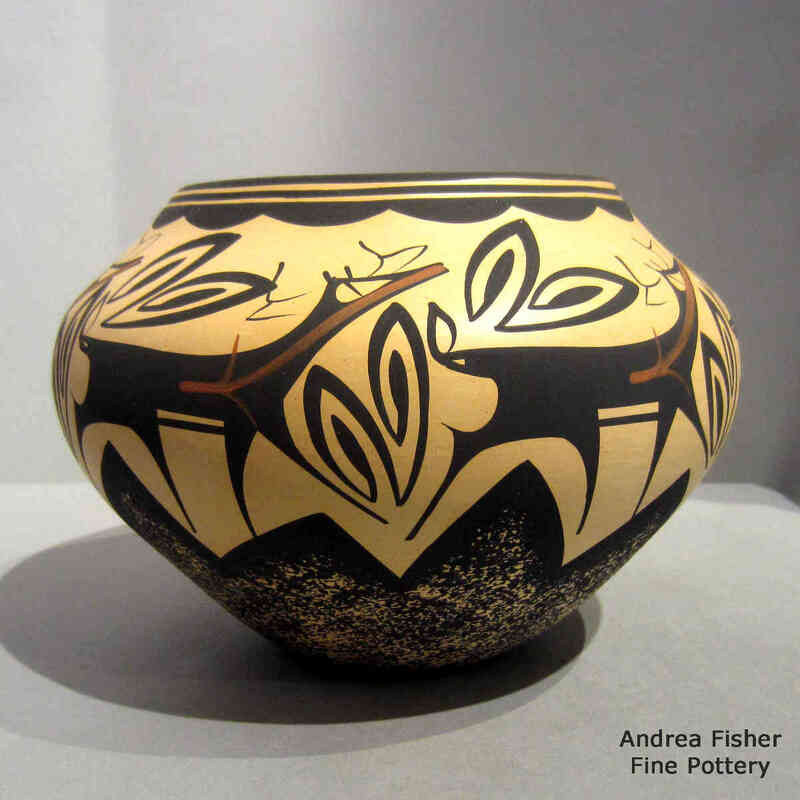 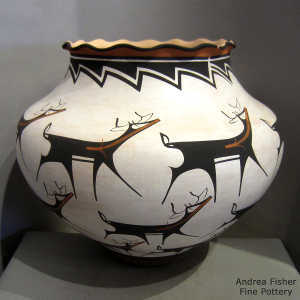 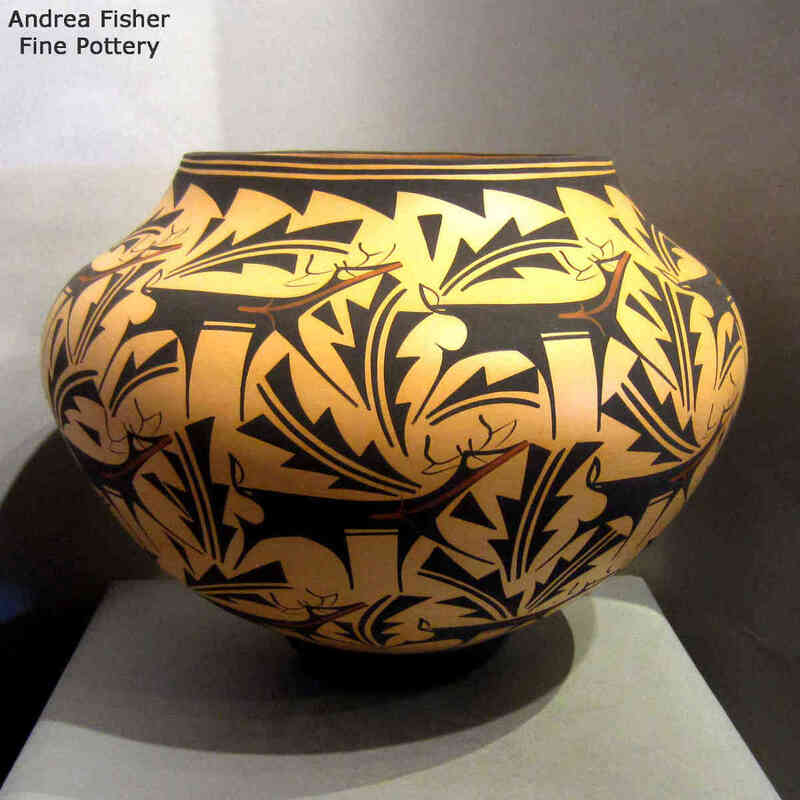 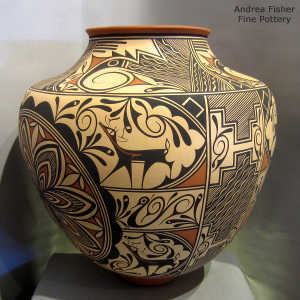 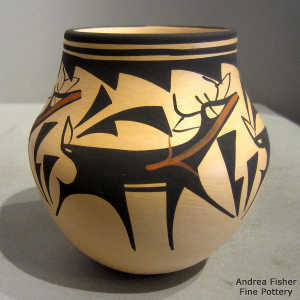 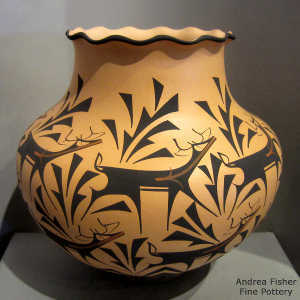 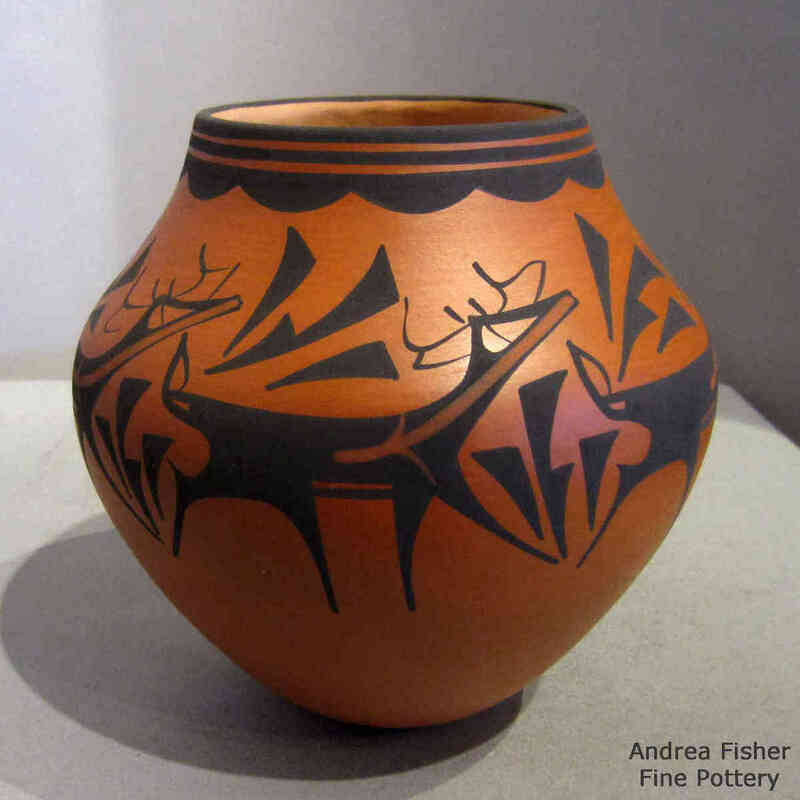 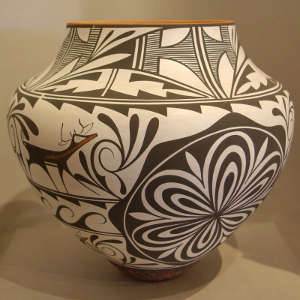 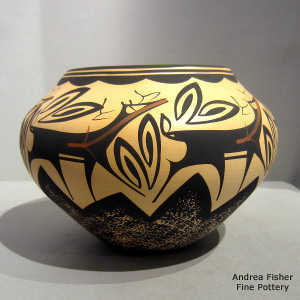 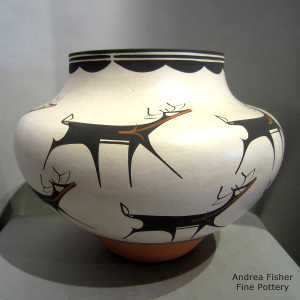 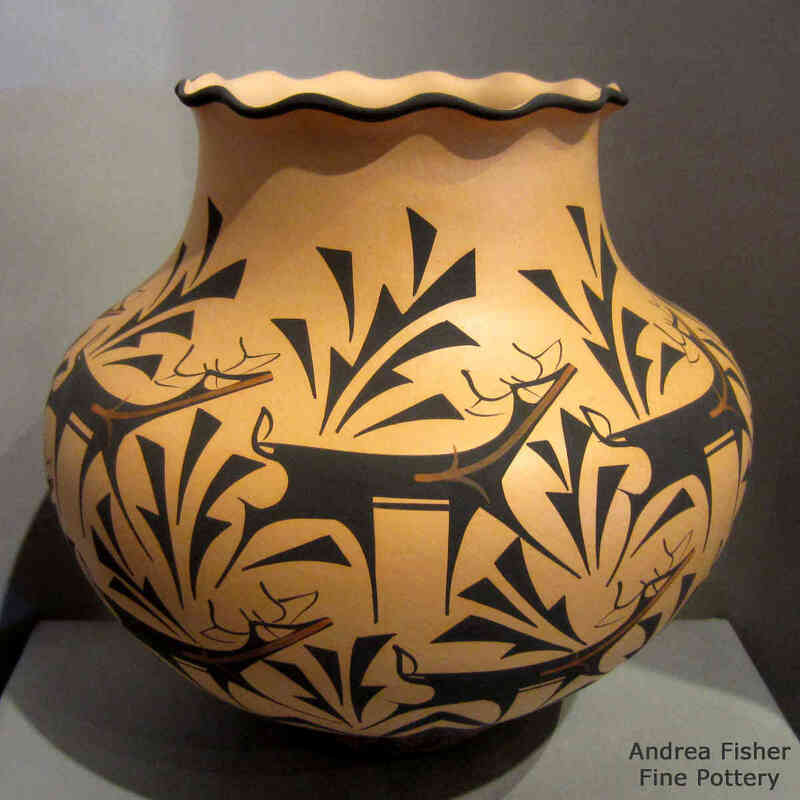 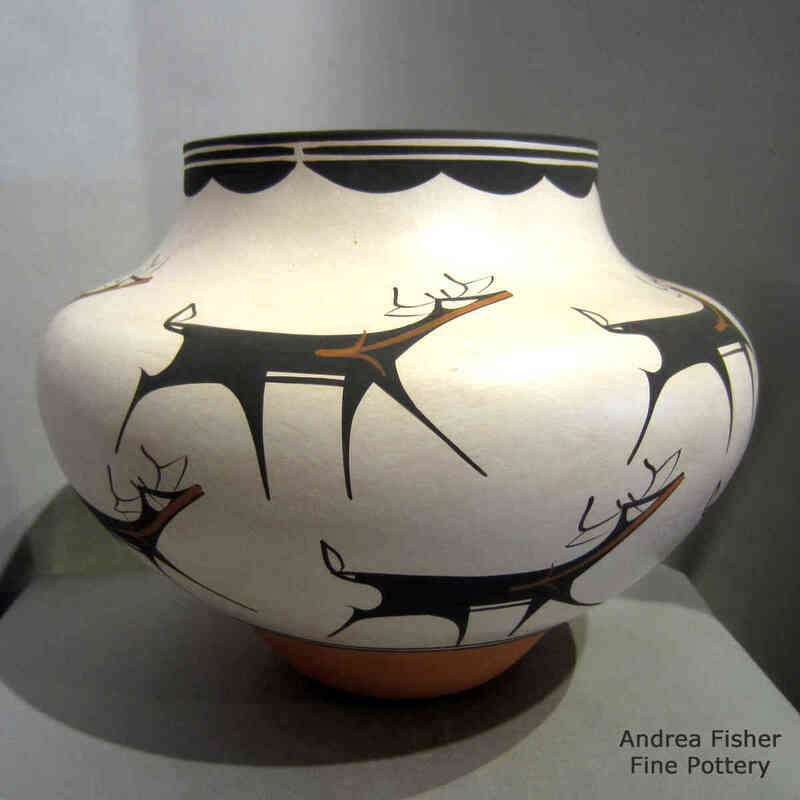 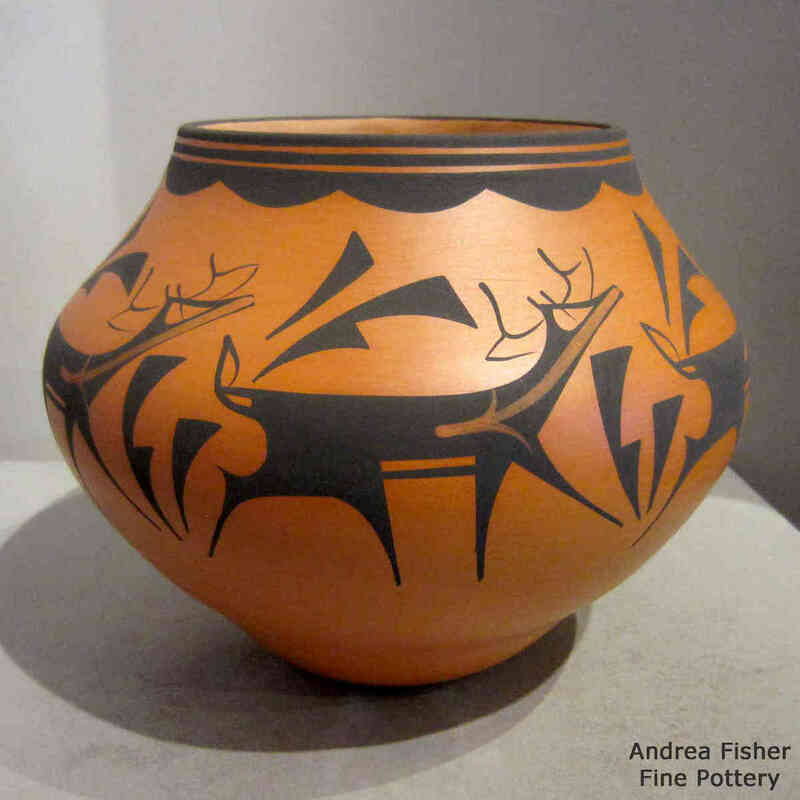 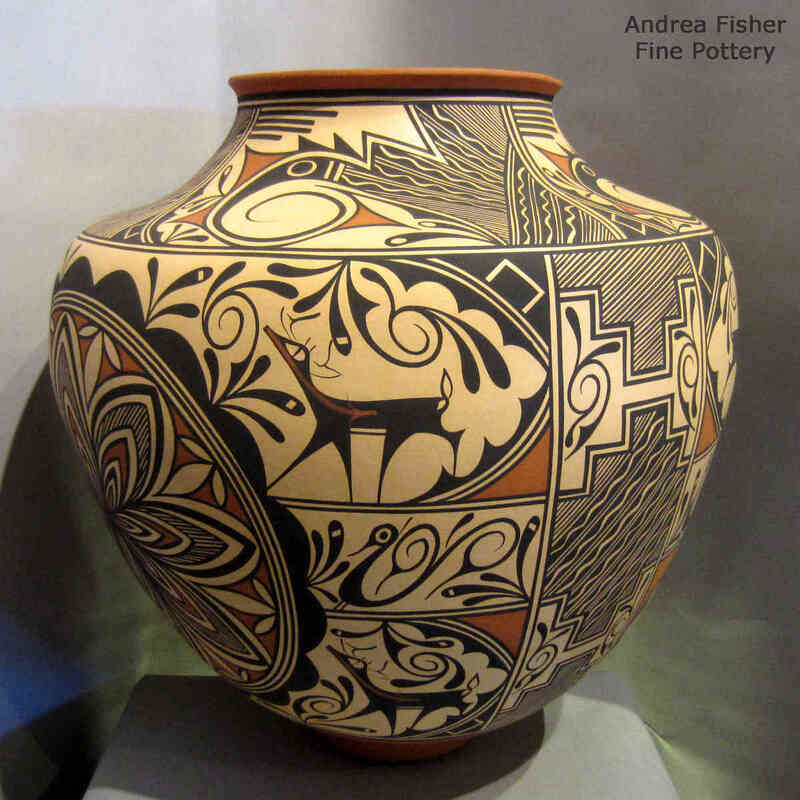 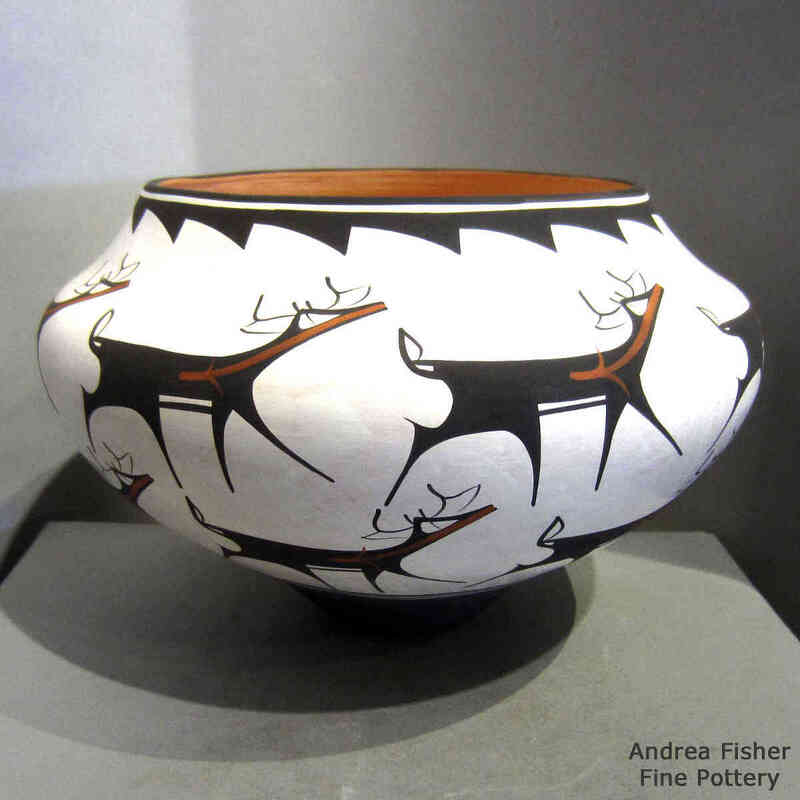 Anderson Peynetsa is a potter from Zuni Pueblo. 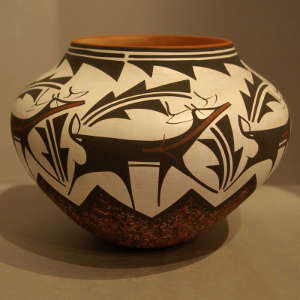 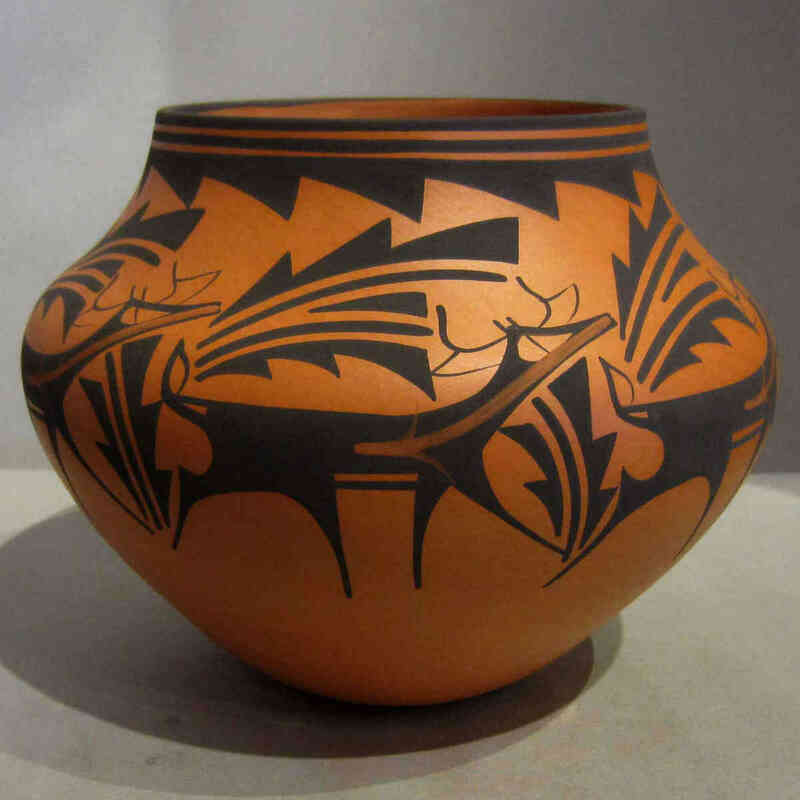 He specializes in thin-walled pots with traditional Zuni designs and in duck pots with contemporary and traditional designs. 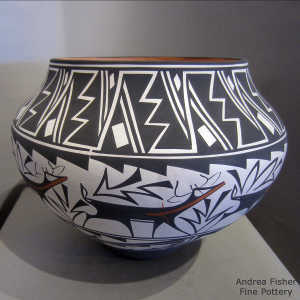 His son, Anderson Jamie Peynetsa, is following in his footsteps and was earning awards for his excellent pottery as a teenager. Anderson is the brother of Priscilla Peynetsa and Agnes Peynetsa. 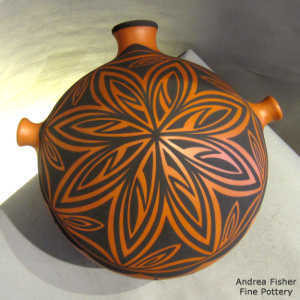 Anderson says he is grateful to his teacher, Jennie Laate, as she introduced him to the traditional art of pottery making. 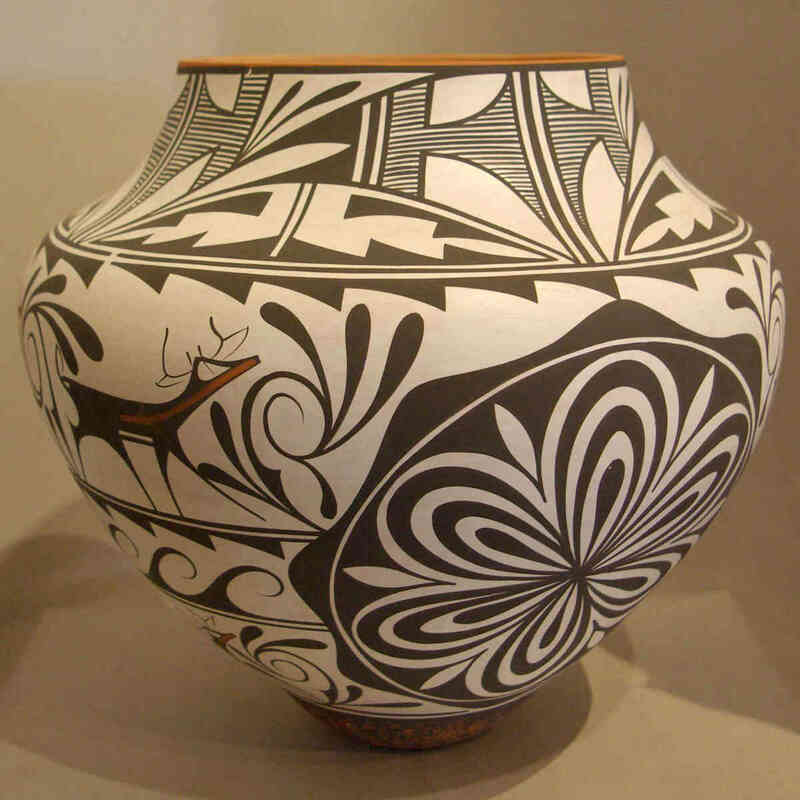 Following that introduction, he became interested in the older Zuni designs and shapes and is surprised now that he has become such a name in the world of Pueblo pottery and has helped to advance the modern Zuni pottery tradition as much as he has. 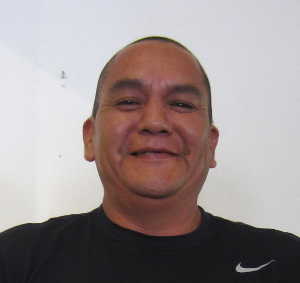 He's also done an incredible job in passing his knowledge on to his children.